Pediatric Bell’s palsy may cause facial paralysis in children from infancy to adolescence. We understand the challenges associated with Bell’s palsy in childhood and offer Botox and surgical treatments to ensure kids get the support they need to minimize the effects of unilateral facial weakness. Bell’s palsy is one of the primary causes of facial paralysis in the United States. It is named after Sir Charles Bell, a neurologist and anatomist who discovered the facial weakness. Bell’s palsy causes temporary facial paralysis for approximately 85% of patients. In the other 15% of patients, Bell’s palsy may be permanent or result in synkinesis. Pediatric Bell’s palsy is a form of facial paralysis that occurs in childhood. The causes of pediatric Bell’s palsy may be congenital (due to delivery trauma or genetic or malformative diseases) or acquired (due to infection, inflammation or other traumatic causes). Bell’s palsy impacts roughly 40,000 Americans each year, according to the National Institute of Neurological Disorders and Stroke. However, Bell’s palsy is less common in individuals under the age of 15 and over the age of 60. Generally, Bell’s palsy in kids results in sudden facial paralysis. It may cause a child to experience a feeling or sensation in the face that prevents him or her from performing facial movements. Comparatively, congenital facial paralysis is a form of facial palsy that affects children at birth. It is a rare condition that can make it difficult for a newborn to nurse and/or completely close the eyes. If congenital facial paralysis goes untreated and does not resolve on its own, it may affect a child’s development relative to speech and emotional expression. A child who experiences sudden facial paralysis should go to the emergency room for immediate diagnosis. In many instances, facial paralysis symptoms will disappear on their own within a few days or weeks. If a child experiences facial paralysis symptoms that last for eight months or longer, visit Dr. Azizzadeh at The Facial Paralysis Institute for advanced treatment options. What Causes Bell’s Palsy in Children? The cause of Bell’s palsy in kids, and adults, remains unknown. 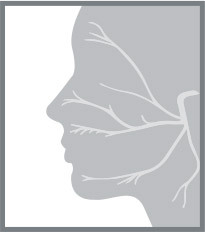 Many health problems may cause facial weakness or paralysis. If a specific reason cannot be found for facial weakness or paralysis, it may be diagnosed as Bell’s palsy. The Facial Paralysis Institute employs a team of facial paralysis experts who can diagnose Bell’s palsy in kids. By doing so, our team helps patients identify Bell’s palsy and discover the best ways to treat the facial weakness. Bell’s palsy symptoms may vary based on the child and can range from mild facial weakness to total facial paralysis. If a child experiences any of these symptoms, go to an emergency room for diagnosis. If Bell’s palsy symptoms persist for more than eight to nine months, schedule a consultation with our facial paralysis expert, Dr. Babak Azizzadeh, to assess the child and recommend the best treatment option. If a child’s Bell’s palsy does not go away on its own after approximately 8 to 9 months, then your child can be evaluated at the Facial Paralysis Institute by Dr. Babak Azizzadeh to see what facial reanimation treatment will be best. 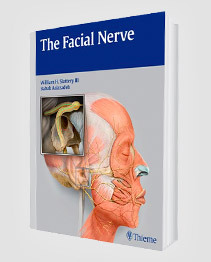 Every patient with long standing Bell’s palsy is unique, and therefore at the Facial Paralysis Institute we customized every treatment plan to the specific needs of the patient. Dr. Azizzadeh offers a variety of different non-surgical and surgical treatment options for pediatric Bell’s palsy patients. After a consultation with Dr. Azizzadeh, he will be able to recommend the best course of action for the child. How long does Bell’s palsy last in children? Oftentimes, Bell’s palsy symptoms disappear on their own within about three months of onset. But in rare instances, Bell’s palsy symptoms linger. If pediatric Bell’s palsy causes unilateral facial paralysis for eight months or longer, it may be a good time to consult with Dr. Azizzadeh. At this point, Dr. Azizzadeh can evaluate a child’s Bell’s palsy symptoms and offer a personalized treatment recommendation. Dr. Azizzadeh has a simple goal: to treat a pediatric Bell’s palsy patient’s facial paralysis symptoms. If a child has been dealing with Bell’s palsy for an extended period of time, Dr. Azizzadeh works diligently to help this child quickly address his or her symptoms. What should I do if my child has Bell’s palsy? If your child has Bell’s palsy, there is no need to panic. 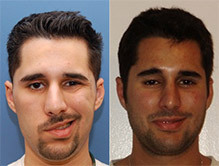 Most Bell’s palsy cases resolve on their own over the course of a few months. If Bell’s palsy symptoms persist, setting up a consultation with Dr. Azizzadeh is crucial. Dr. Azizzadeh is a globally recognized facial plastic and reconstructive surgeon who provides comprehensive pediatric Bell’s palsy treatments. He works with children dealing with Bell’s palsy to safely treat their facial paralysis symptoms. What causes Bell’s palsy in infants? Bell’s palsy in infants occurs due to facial nerve damage related to a virus, injury, flu, ear infection or diabetes. Additionally, Lyme disease has been linked to Bell’s palsy in children. Is pediatric Bell’s palsy a recurring issue? Research indicates there is a 7% recurrence rate of Bell’s palsy symptoms. Pediatric Bell’s palsy treatments are designed to help children prevent facial paralysis symptoms from recurring. By following treatment instructions closely, children can minimize the risk of recurring pediatric Bell’s palsy. How can I help my child who is currently dealing with Bell’s palsy? Living with Bell’s palsy is difficult, particularly for children. Parents who provide a child dealing with Bell’s palsy with constant support can help him or her manage anger, sadness, frustration and other feelings commonly associated with the condition. Also, parents must preach patience as a child undergoes a Bell’s palsy treatment, as the time it takes to resolve Bell’s palsy symptoms varies based on the patient. 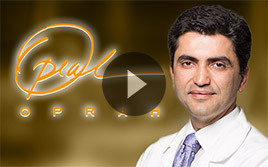 Dr. Azizzadeh is happy to meet with a child dealing with Bell’s palsy and his or her parents. He strives responds to pediatric Bell’s palsy concerns and questions, and in doing so, takes the guesswork out of Bell’s palsy treatments. To find out more about The Facial Paralysis Institute and how we assist Bell’s palsy in children and patients of all ages, please contact us today at (310) 657-2203 to set up an appointment.